Hi! 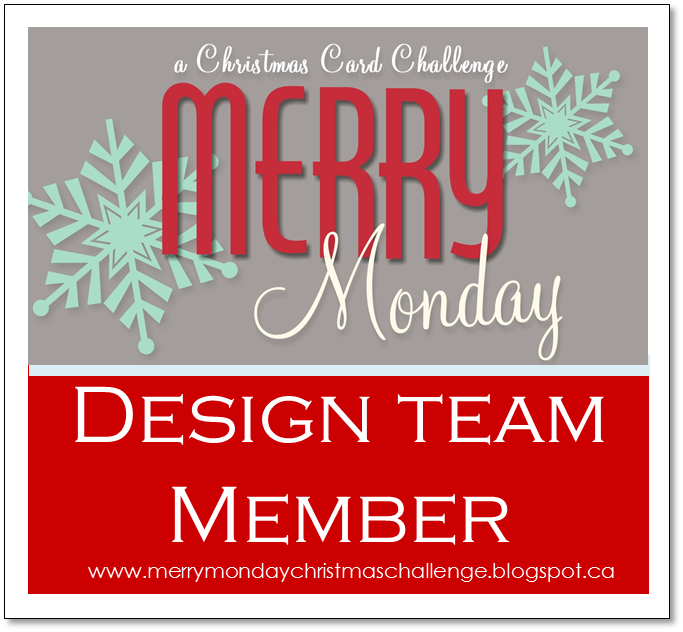 The theme at Merry Monday this week is The Night Before Christmas and I just had to play along! 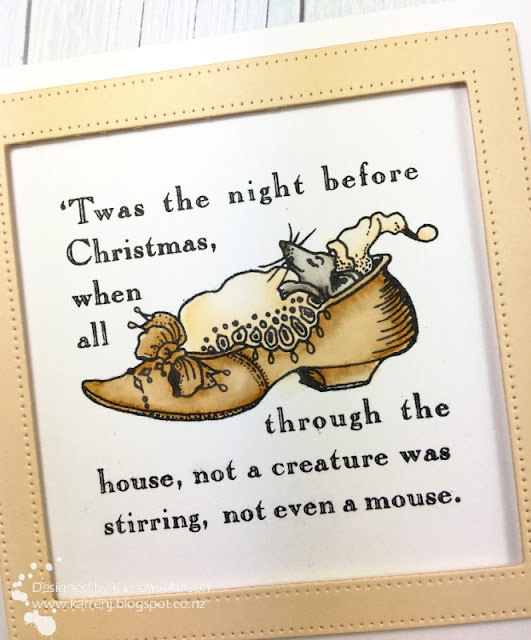 Way back in the early 2000's I bought some stamps from Imagina Clarity (now Clarity Stamps) that were part of a series of Night Before Christmas stamps. 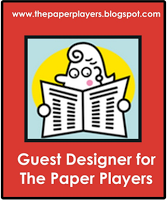 This card was made using the first stamp in the series. 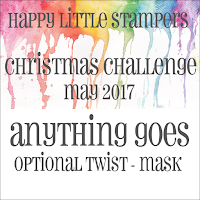 I'm also playing along with the Anything Goes theme at Happy Little Stampers Christmas Challenge. I was going for a vintage, yet CAS look, so colored my image with browns and peachy Zig markers. I added a pierced frame and called it done! A pretty simple card, but oh, such a cute image! 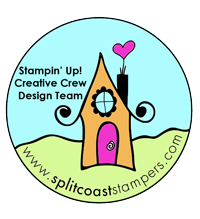 Edited to Add: This card got a shout out at Merry Monday and Happy Little Stampers. 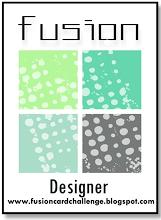 ohh I love this Karren, what a wonderful stamp set and I love your simple design. So glad you played along with Merry Monday. 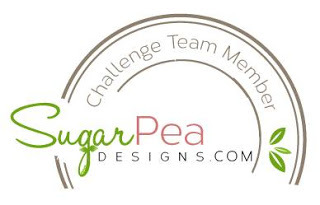 How adorable - and absolutely perfect for the MM challenge theme! How cute!! Great take of the challenge theme!! 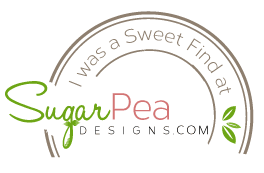 Total sweetness! Love this little sleepy guy! Such a cute card Karren. Elegant and cute. 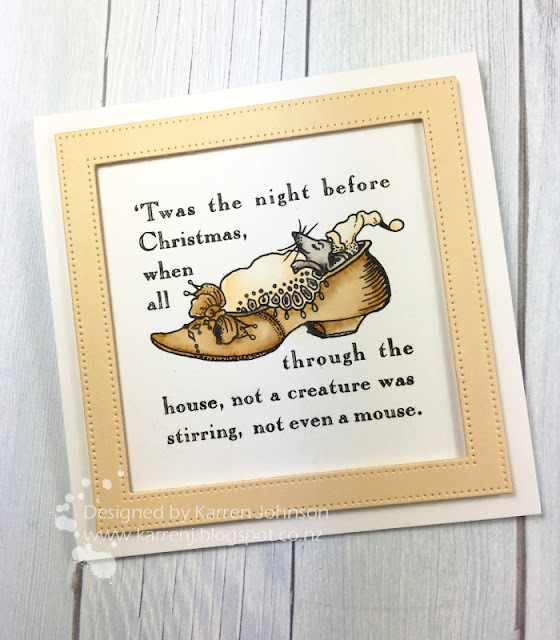 Darling little mouse in the shoe - so perfect for Merry Monday! Congrats on your win!! I love that you chose a vintage theme for this card, and your square base works perfectly with this image! So sweet, Karren! Aaaw - this is so cute and I love the soft vintage look. Lovely card!